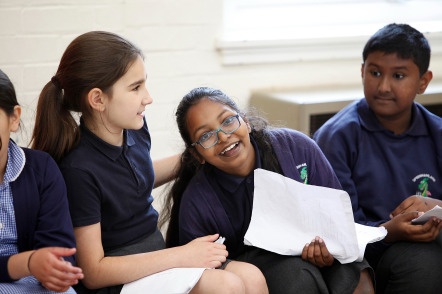 We work with a range of professional actors, directors, writers and artists, delivering workshops, performance lectures and talks designed in consultation with teachers, to assist in teaching the curriculum. Our status as an award-winning producer of Shakespeare puts us in a wonderful position to help at any level – from an introduction to Shakespeare through to GCSE and A-level English and Drama. Other workshops include A-Level and GCSE set texts through story-telling and directing; and our record as a producer of new writing means that we can also offer sessions on the art of scriptwriting.